Wildcard Networks: Inside Out: LiveWave Goes Live! The past few months has seen our new service offering LiveWave take shape. LiveWave provides high-speed fixed Internet access to properties by using state-of-the-art wireless equipment at unbelievable speeds. 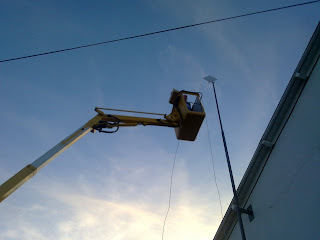 The equipment is small and unobtrusive and the service is available to both residential and business users. We recently completed an installation at Nafferton Farm for Newcastle University's Farming Group. The property previously struggled to get broadband speeds of over 512kbps due to the telephone line distance from the exchange. Our installation was able to offer them 20Mb access both upload and download as a commercial installation - A 40x improvement over the previous speed. The service is rolling out across key areas in Northumberland / Tyne Valley / Tyne and Wear, namely areas suffering from poor internet access speeds using traditional ADSL technology. Our next major rollout is Heddon-on-the-Wall during October, we'll be able to provide internet access speeds of up to 40Mb compared to the average of 1Mb available in the area presently. 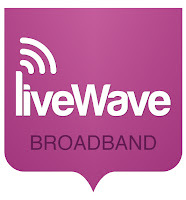 Full availability can be obtained by contact us on 0845 165 1510 or visiting the LiveWave site. Interesting, what's the LiveWave website URL? Can't seem to find it. If you drop me an email at lee@wildcard.net.uk I can provide you more info on coverage and how it works if you are interested.